Man-made reefs seeded with more than 500,000 young oysters were laid in Shinnecock Bay Thursday in the region's first initiative to create a complex habitat for shellfish production to filter and clean area waters. The Shinnecock Bay Restoration Program, a joint initiative by Stony Brook University's School of Marine and Atmospheric Sciences and the Institute for Ocean Conservation Science, recently received permits for the first-ever project on Long Island, the first such permits granted by the state Department of Environmental Conservation. The work is being funded by $4 million in private foundation grants and a smaller portion of state money. 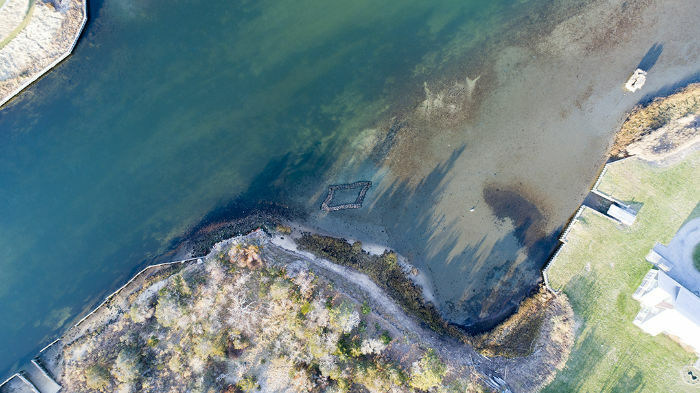 "We want to see if we can bring back the oyster populations," said Christpher Gobler, a professor at the Stony Brook School of Marine and Atmospheric Sciences, noting there are no natural oysters reefs extant around Long Island. "They filter water and create habitat and enhance the total ecosystem," Doall said. The plan is to construct up to four such reefs under the current permits. The reefs will be closely monitored to check oyster growth, spawning of new recruits and establishment of fish habitat. "We want to get as much information as possible to consider this a restoration technology," he said. 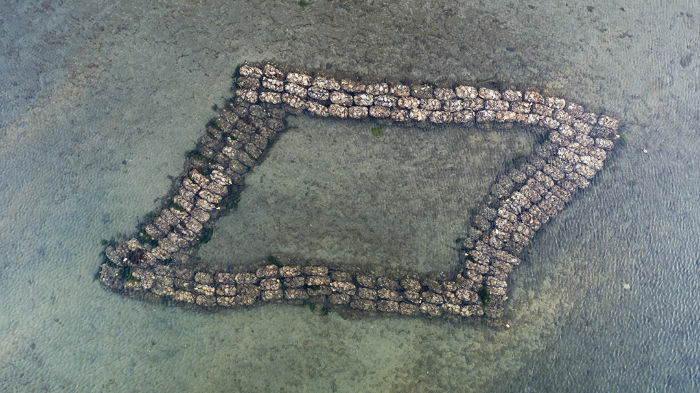 On Thursday, November 30th, the Shinnecock Bay Restoration Program finished deploying the first part of four permitted constructed oyster reefs on Long Island. These reefs are a collaborative project between ShiRP, Stony Brook University's School of Marine and Atmospheric Sciences, and the Insititute for Ocean Conservation Sciences. The reef construction is being overseen by Mike Doall, shellfish specialist with ShiRP, who has been growing juvenile oysters on shellbags for the last six months in preparation. Moving forward, Doall will continue to work with ShiRP to grow new oysters to be deployed on the additional reefs next year. In order to produce all the oysters needed, the oyster larvae must first settle onto a solid substrate. The best substrate to use is old oyster, clam, or scallop shell. Naturally, occurring oyster reefs develop as juvenile oysters (or "spat") grow atop older shells, and the reefs expand as years progress. Since Shinnecock does not currently have existing reefs, all shell that is being used as a substrate for the juvenile oysters has been donated by local restaurants, festivals, and fishermen. After the shell is collected, it is left outside to dry for six months to prevent introducing any diseases into the Shinnecock Bay. From there the shells are put into large tubs where Doall will spawn the next generation of oysters. Finally, this "spat on shell" is outplanted onto the new reefs, and monitored for survival and growth. Dr. Chris Gobler and his team with the Shinnecock Restoration Project say the oyster reef is part of the solution. "An adult oyster can filter nearly 200 liters of water in a day," says Dr. Gobler. The reef features a bag full of hard shell clams that are covered with juvenile oysters. "Ultimately, what we want to have is the whole bag full of live oysters filtering the water and producing new oysters to re-populate the bay," says Dr. Gobler. Back in the early 1900s, Long Island shores were surrounded by hundreds of miles of oyster reefs, but pollution and overfishing took its toll. The reefs that once protected the shorelines, created a marine habitat, and filtered the bays and estuaries disappeared. "The old oyster reefs that used to populate Long Island are no longer, so we are here to see if we can bring those back," says Dr. Gobler. The reef installed Thursday is the first of four reefs that the state Department of Environmental Conservation gave permission for Stony Brook University to install. The next one will be installed next fall. It's easy for East Enders to think of the eelgrass that has provided habitat, most famously, to the Peconic Bay scallop, as a part of our lost heritage. But seagrasses, essentially rooted grasses that thrive when fully submerged, have become threatened throughout the world. Right here on Long Island, we're doing some groundbreaking research that could have positive implications for seagrasses around the world. Dr. Bradley Peterson, a marine ecologist with Stony Brook University's School of Marine and Atmospheric Sciences' labs in Southampton, has been following the fate of Long Island's eelgrass since he joined the faculty at the campus, formerly part of Long Island University, in 2003. He gave a presentation on his research at the college Oct. 20. "Submerged aquatic vegetation is among the most productive of marine environments," he told a crowd of students and interested community members. "It requires a lot of light and grows in shallow water, which is one of the reasons it is in such peril." You know all those algae blooms you've been hearing about on the news? The ones that are caused by excessive nutrients entering our bays? Well, sea grasses are one of the biggest victims of algae blooms. "The first thing that seems to disappear with overnourishment is light," said Dr. Peterson. "Seagrasses require 10 to 30 percent surface light. 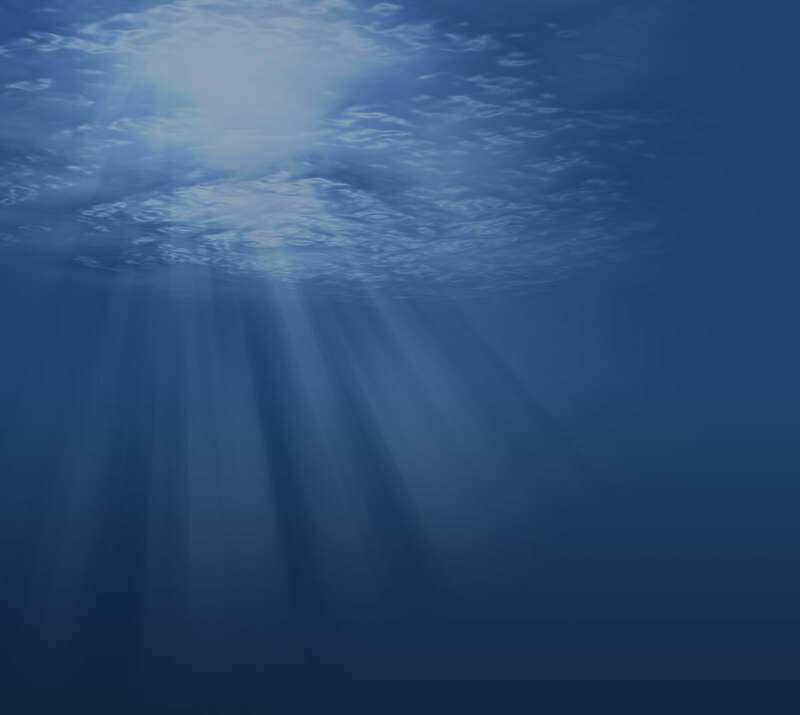 After that, things start growing in the water, and there's no light on the bottom." Dr. Peterson said the world has lost one-third of its seagrass since 1880. We're currently losing a football field every 30 minutes, and the rate of decline in seagrass since 1990 has sped up to 7 percent per year. On Long Island, he said, about 23 percent of the sea grass in our estuaries disappeared between 1967 and 1977, due to increasing nutrients, and another 40 percent disappeared during the brown tide explosion between 1985 and 1988. There's been a lot of research and restoration work attempts in the Peconic Bays and South Shore estuaries since the brown tide explosion, but Dr. Peterson said some of the early research has proven wrong. Initially, seagrass experts who were brought in said Long Island's seagrasses were suffering because of "poor connectivity and inbreeding." Zostera marina, a.k.a. eelgrass, can reproduced through clones, sending out shoots from existing plants, but it can also grow from seeds. Initially, researchers believed the genetic similarity of these clones were the reason eelgrass couldn't adapt to algae blooms. "We found that to be absolutely false," said Dr. Peterson. "If you went more than eight steps away, you never found another clone. That tells you our population is driven by seeds." Much of the effort to replant eelgrass on Long Island has centered around replanting shoots of eelgrass in locations where they had historically been known to grow, often weaving the seedlings into a round burlap mat before placing it on the sea floor. Dr. Peterson said there has been little success after years of attempting to replant eelgrass beds using this method, at a cost of nearly $1 million per acre. And areas that seagrass has liked in the past have changed, and may no longer be as conducive to the spread of sea grasses as they were before. But collecting eelgrass seeds and dispersing them directly has proved a promising and cost-effective method, he said, when coupled with doing work to help improve the ecological health of our estuaries, by reducing nutrients into the bays and by seeding them with shellfish that can filter algae from the water. It's about understanding the connectivity of an ecological system, not just about keeping your eye on seagrass. "We can collect six million seeds with two weeks' work," and broadcast them onto sandy bottom lands, he said. "If we can actually change the system, the plant itself has a vast ability, from seeds, to change the space." He pointed out slides of an area of Shinnecock Bay that had been planted with seeds. The area had initially been covered only 3 percent by seagrass. When left alone for six years, however, that area jumped to 43 percent coverage. "That's a natural seed set that grew and coalesced in Shinnecock Bay," he said. "We made no improvement. That's just natural progression." "Everybody wants to do something. They see a problem and they want to do something," he said. "But where it was is not the same as where it was before. A lot of people spend a lot of money putting it back where it was. We have only so much time and money. I'm not telling you seeds will work everywhere, but we have seen some success." This success is important for many reasons, not the least of which is helping to provide crucial habitat to restore the Peconic Bay scallop. "Eelgrass is more productive than a tropical rainforest," said Dr. Peterson. "A lot of things live in them and hide in them, and they play the role of a nursery for shellfish and fin fish." He added that seagrasses provide three times the habitat of coral reefs. Globally, seagrasses also play a big role in locking up atmospheric carbon, making them a fighter in the race against climate change. During that process, they also increase the pH of their surroundings, fighting off the linked threat of ocean acidification. "Seagrasses, tidal marshes and mangroves only exist on .2 percent of the marine footprint, yet they're responsible for 50 percent of its carbon sequestration," said Dr. Peterson. "We can use restoration of habitats to drive down carbon." The fall SOMaS lecture series continues on Friday, Nov. 3 at 7:30 p.m., with a talk by Dr. Joe Warren on "Dining with the Leviathans of the Oceans. On Dec. 8 at 7:30 p.m., Christopher Paparo will give a talk on "Exploring Long Island's Underwater World." Both lectures will be held in the Duke Lecture Hall in Chancellor's Hall. The paper, entitled "Abundance and size structure of a reef shark population within a marine reserve has remained stable for more than a decade." Ellen spearheaded the standardized longline survey at Glover's Reef, Belize, in 2000. This survey was conducted annually for over a decade, and provides a time series of Caribbean reef shark abundance inside a marine reserve. Results of the study show that catch per unit effort of these sharks remained stable over time, supporting the idea that marine reserves are an effective conservation and management tool in this region. Lead author is SoMAS graduate Dr. Mark Bond. By Christopher J. Gobler, Ph.D.
As the summer heats up, East End residents are drawn to the water. Nothing spells relief like a dip into a cool water body on a hot day. We seek the peace and serenity offered by daybreaks and sunsets over the water. Conditions are perfect for fishing, clamming, and boating. And while we envision all of these activities taking place in a placid, pale blue body of water, the truth is, more and more surface waters on eastern Long Island are taking on colors that signal something is not right. The green lake or pond, the chocolate-colored bay; these are not the images we bring to mind as we dream about our favorite water activities. Yet, these conditions are now ever-present across the East End during summer. And if the concerns ended with a discoloration of the water, one might chalk it all up to a bad day at the beach and move on. However, the fact of the matter is, these discolorations are often caused by algae that are harmful to aquatic life, pets, and even humans. Moreover, the formation of these harmful algal blooms or HABs have been shown to lead to economic disruption in communities that rely on clean water for tourism, fisheries, and boating and have been shown to significantly depress home values in a one mile radius. Just about everyone should be concerned. These harmful algal blooms can be broken down into two general categories: Those that are harmful to aquatic ecosystems, and those that are toxic and potentially lethal to humans and pets. The first broad category may seem like a small worry in that they can't hurt us directly. But, the truth is, these ecosystem-disrupting blooms have changed the way of life on the East End forever. For example, in 1984, Long Island was home to the largest hard clam and bay scallop fishery on the US East Coast, and bay bottoms were covered with lush seagrass meadows. In 1985, the first brown tide bloom caused by the algae Aureococcus occurred across the Peconic Estuary and south shore of Long Island and has recurred virtually every year since, leading to a greater than 90 percent loss in the clam and scallop landings and contributing to a 90 percent loss in the coverage of seagrass. As a key nursery habitat for finfish and shellfish, the loss of seagrass has had a devastating, cascading effect on food webs and ecosystems across the East End. Joining brown tides this century have been rust tides that occur throughout the Peconic Estuary and Shinnecock Bay. Caused by the alga Cochlodinium, a fish-killing algae that has caused late summer mass mortality in fish populations in tributaries and fishing traps known as pound nets. While collapse of key fisheries and ecosystems is a serious concern, the second class of harmful algae on the East End are literally lethal. For example, red tides caused by Alexandrium produce the potent neurotoxin saxitoxin that is 1000 times more potent than cyanide and accumulates in filter feeding bivalves such as clams, oysters, and mussels. If shellfish contaminated with the toxin are consumed by humans, it can lead to paralytic shellfish poisoning (PSP). There have been more than a dozen PSP-induced shellfish bed closures on Long Island in recent years and people have died of PSP in parts of the world without proper monitoring. In other cases, it can lead to mass mortality of marine life as was the case in the deaths of hundreds of diamondback terrapin turtles in Riverhead in 2015. In lakes and ponds, more than a dozen sites across eastern Long Island have experienced blue-green algal blooms during the past decade. These algae synthesize potent neurotoxins and gastrointestinal toxins that have been responsible for dog illnesses and deaths in recent years. Perhaps the most surprising aspect of the harmful algal blooms that have emerged in the past few decades is that we know the cause and we know how to stop them. For each of these individual algae, research has been published showing that excessive levels of nitrogen delivered from land to sea makes the bloom events more intense and more toxic. The reverse has been demonstrated as well: In Northport, the upgrade of a sewage treatment plant ended the annual recurrence of toxic PSP events. On eastern Long Island, the majority of nitrogen in groundwater that seeps into bays, harbors, and lakes originates from septic tanks and cesspools, with household and agricultural fertilizer being the second largest source. In 2016, East End voters approved an extension of the Community Preservation Fund and approved the use of that fund for improving water quality. Suffolk County has now approved the use of denitrifying septic systems for individual homes that remove 70 percent more nitrogen from wastewater. The change over to the use of these new systems along with reducing the use of fertilizers hold the promise to turn these tides and thus protect our health, protect our economy, and restore our coastal ecosystems. Dr. Christopher Gobler is Associate Dean for Research, Professor School of Marine and Atmospheric Sciences and Co-Director for the Center for Clean Water Technology at Stony Brook University. Read article at The Independent. For the first time in many years, the reaches of western Shinnecock Bay and eastern Moriches Bay have not been beset in early summer with "brown tide" algae blooms, scientists from Stony Brook University said. While brown tide blooms have been recorded in historic, record-breaking levels in Great South Bay already this year, the Moriches-Quantuck-Shinnecock chain of tidal embayments has been free of the blooms that were once the scourge of the entire East End. "Eastern Moriches Bay, Quantuck Bay and western Shinnecock Bay have always been hit hardest by brown tide, but this year they have been let off the hook," said Dr. Christopher Gobler, a marine scientist at Stony Brook's School of Marine and Atmospheric Sciences and a member of the team that is leading an effort to improve water quality in western Shinnecock Bay. "While a multi-year effort to restore hard clams to this region may be helping, it is certain that the absence of brown tide this year will accelerate those restoration efforts in this region," he continued. Stony Brook researchers, backed by more than $3 million in bequeathments, have been seeding millions of clams in parts of western Shinnecock and Quantuck bays in hopes that the shellfish, if present in sufficient numbers, would consume enough algae to prevent certain harmful species from reaching epidemic bloom levels. The brown tide algae, Aureococcus anophagefferens, first appeared on Long Island in 1985 in blooms that turned local bays coffee-colored as they spread. The blooms recurred for most of the next 10 years, wiping out once plentiful stocks of valuable bay scallops and decimating bayman communities that relied on them. The blooms have not reappeared in the Peconics since 1995 but had exploded in Quantuck Bay nearly every year since, and in western Shinnecock and eastern Moriches bays each of the last several years.